The Youngstown State University women’s golf team will host a tournament in the Valley for the first time this season. 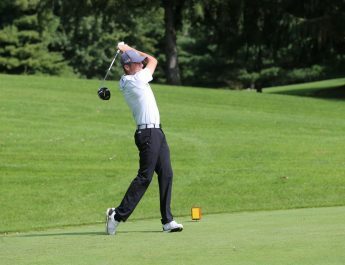 On April 13, the Youngstown Country Club will host the YSU Spring Invitational. This event will take place after the Penguins finished in second place as a team during the Indiana State University Invitational last weekend. After capturing a six-shot lead in round one, ultimate winner California Baptist shot a 287 compared to YSU’s 300, the Penguins weren’t able to hang onto the lead. However, this is now the sixth event of the season the Penguins have finished either in first or second place. Freshman Puthita Khuanrudee posted a career low 144 for the tournament while finishing at the top for YSU for the fourth time this year. Junior Katlyn Shutt’s first round score of 69 tied the fifth-lowest single-round in the program’s history. New since last week, sophomore Kara Raines earned honors at the JCU One Day Shootout hosted on Saturday at The Country Club of Hudson, sponsored by John Carroll University. Raines earned medalist for the first time in her career after posting a 76 in the JCU shootout, and her second top 10 finish during her career. Lineups haven’t been announced for the YSU Spring Invitational. Following the local event, the Penguins will fly to Orlando with the YSU men’s team for the Horizon League Conference Championship tournament, beginning on April 21, falling on Easter Sunday. Stay tuned to thejambar.com for updates throughout the week as the women’s golf team looks to close out the regular season strong. Stats courtesy of the YSU Sports Information Department.